Mumbai: We all have chased these fluttering tiny colorful insects in our backyard, gardens and everywhere around us. 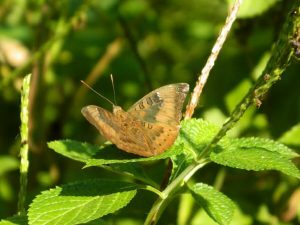 But, ever wondered how to identify butterflies, their classification, their lifecycle and other details? BNHS CEC announces all new course on butterflies to learn about the world of butterflies. The ‘Certificate Course in Butterfly Studies (Lepidoptera)’ is a hybrid course with online and field components focusing on these winged creatures. Coursework: Online assignment submission, including online research, field work and nature activity once a month. Interested people can write to us on ‘[email protected]’ BNHS CEC team will send registration form and payment details in response. Kindly note, the last date for registration is 10th May 2017 (Limited admissions). For further details, please call on 022-28429477 or 9594953425, Monday-Friday 9:30 a.m. to 5:30 p.m.